Invest in this fabulous Kingsbridge bed for a superior nights rest. 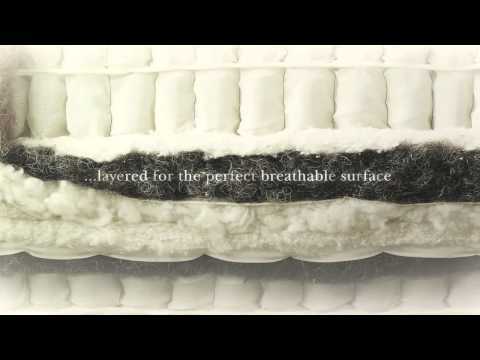 The luxury hand-made mattress is made to order in either a soft, medium, firm or extra firm comfort options. Sumptuous natural fillings including British fleece wool and hand teased horsetail blended with Devonshire wool are layered around hand nested vanadium pocket springs. This superior mattress is perfectly paired with the Vispring prestige pocket sprung divan with over 950 pocket springs in the average king size divan base. This gives the best support and comfort for a more restful sleep.